This week marks the 27th anniversary of a dedicated employee known to all our clients — Maribeth Chambers, Senior Vice President of Personal Banking. 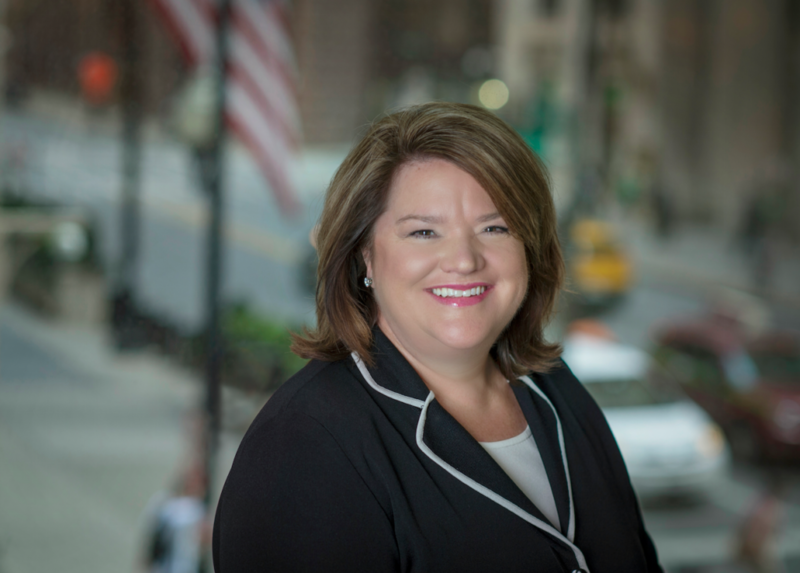 As one of Burling Bank’s founding team members in 1989, Maribeth has spent her career shaping our organization to become the personalized banking experience it is today. She is proud of the culture we have nurtured and the relationships we’ve built over the years. Both staff and clientele fully trust Maribeth as a point of contact for financial and personal inquiries, and it’s obvious that each interaction is of great importance to her. “We get to know our clients so well, that we end up experiencing life events together,” said Chambers. “It’s not just a job. Clients and team members are like family.” From running out to the side of a vehicle to take a drive-by deposit to knowing a client just by their voice on the phone, Maribeth has been there for them. She has proudly seen entire families begin, grow and blossom over the course of her career. Maribeth has known some clients from the day they got married, to the birth of a child, to watching those babies go off to college and even get married. She has worked with some of those now grown children as they’ve taken the reigns of family-owned businesses, and Burling Bank is still there for them. Maribeth feels a deep sense of pride in the longevity of Burling Bank’s clients, as the Bank’s first depositor in 1989 is still a depositor today. She believes that the trust imbued throughout the relationship comes from the strength and commitment of Burling’s team, making connections simpler and client service more effective. Maribeth’s career began two months before the organization officially opened in September 1989. Over the course of 27 years, she has progressed through the ranks to become our Senior Vice President of Personal Banking. When she is not at work, Maribeth enjoys boating and fishing with her family in the great outdoors. She also loves long walks on Lake Michigan and spending quality time with loved ones. We thank Maribeth for her exceptional dedication and continued service for many years to come. Protect your personal data with new Burling Bank debit cards featuring EMV Chip technology. This technology delivers a safer transaction experience, higher spend limits, and user-friendly card controls. The cards were issued on August 2, 2016 to all Burling Bank clients who currently have a Burling Bank debit card or ATM card. The new Burling Bank debit card replaces your previous debit/ATM card. Along with the new EMV Chip card, we are pleased to introduce the MobiMoney app, which is a comprehensive smartphone banking solution that makes it simple to manage card information on the go. MobiMoney offers instant account alerts based on customer preferences, receipt organization, budgets based on category, account transfers and more to help you efficiently and safely manage your account. When combined, MobiMoney and EMV chip cards work together to keep accounts secure. With unique memory card encryption codes, purchase location parameters and card activation and deactivation if unusual transactions arise, these new technologies make for a safer transaction experience with reduced risk of identity theft. To learn more about EMV chip cards, MobiMoney and their benefits, please contact Burling Bank today.